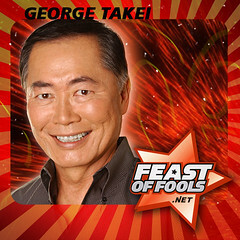 Click here (or on the image) to go directly to the Feast of Fools website and download their interview with George Takei. It’s entertaining, it’s fun, and George is a warm and wonderful guest. He’s also the Grand Marshall of the Chicago Pride Parade on Sunday, June 25!